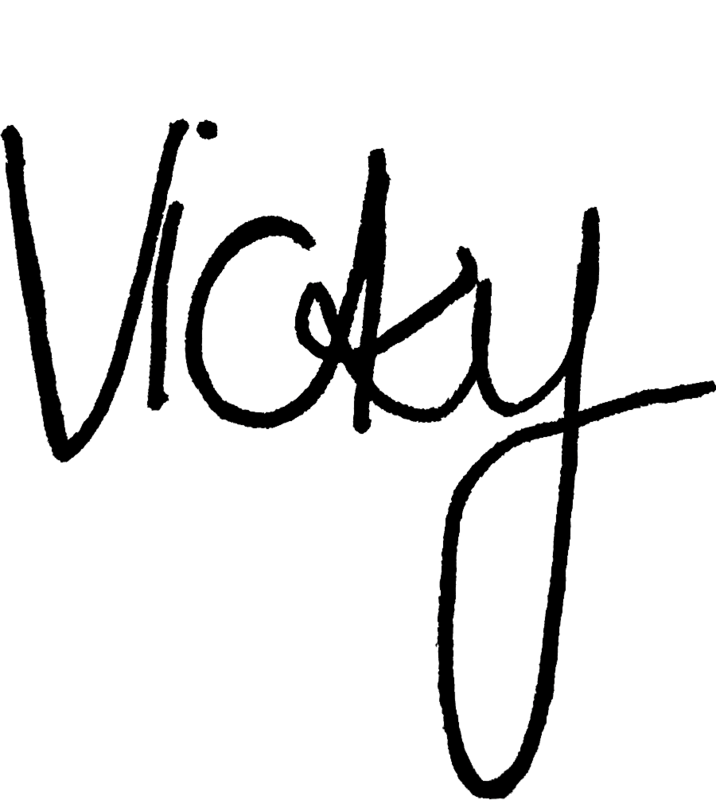 I’m currently reminiscing about our beautiful time in Tokyo whereof I still got so many great tips for you. Where to start? 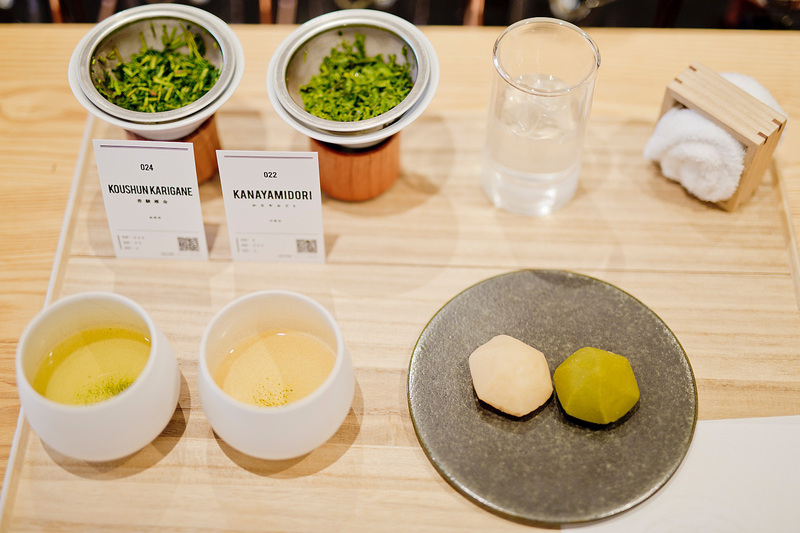 Among the top things you should do in Tokyo is either a traditional Japanese tea tasting experience or a minimal modern tea experience like we did. Being a huge green tea lover it was an absolute must for me. 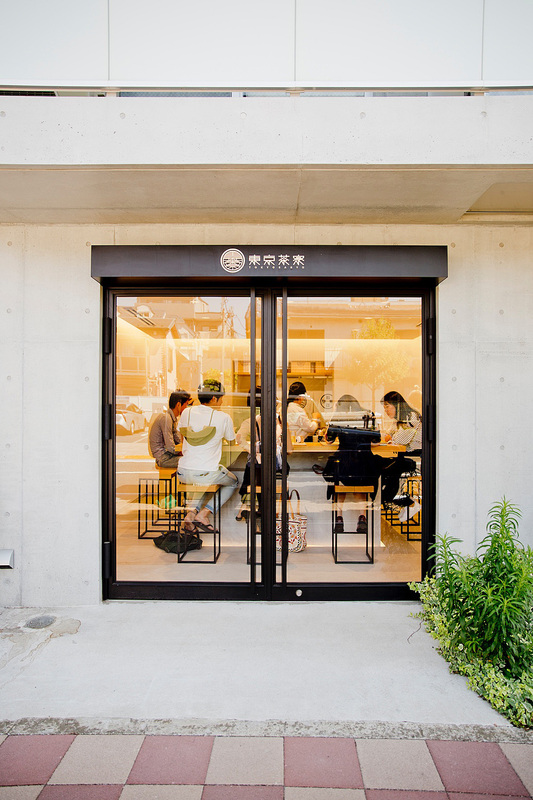 Luckily, I came across the beautiful minimalist tea shop SARYO in Setagaya. The neighborhood is approximately 10 minutes from the famous Shibuya crossing by train. The visit of SARYO was the perfect stop during our architecture tour through Tokyo, which I’ll tell you more in a separate post. 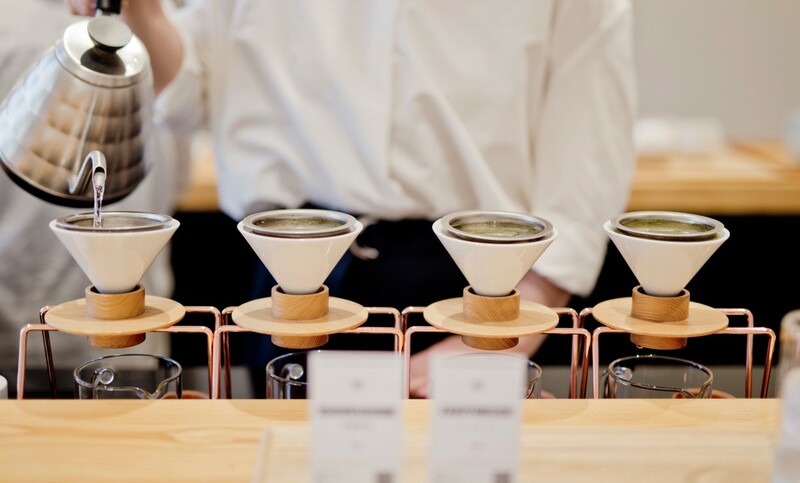 The tea shop is super small and minimalist. 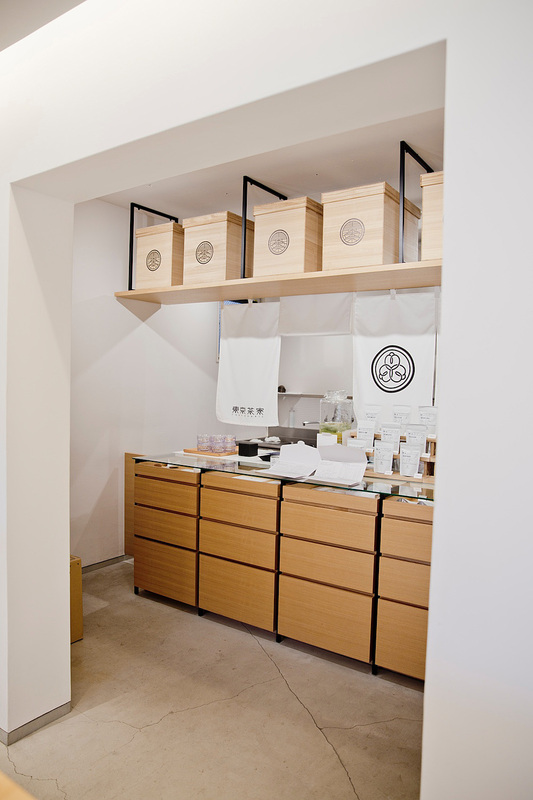 The large wooden tea bar counter fills the bigger space and has a small shop and kitchen at the back of it. The whole interior is handcrafted. 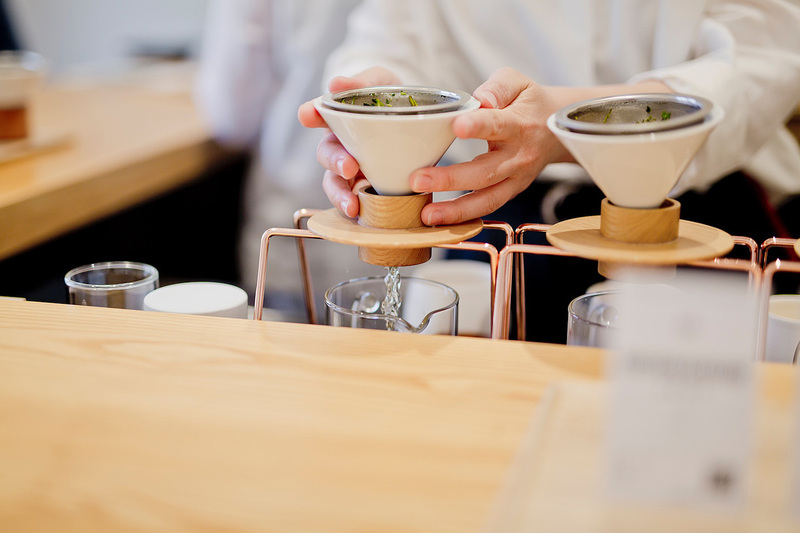 So are the tea drippers, which are made from a copper base, a ceramic dripper and a wooden holder, which the owners designed themselves. We came quite early on Sunday noon when it was still quite calm. 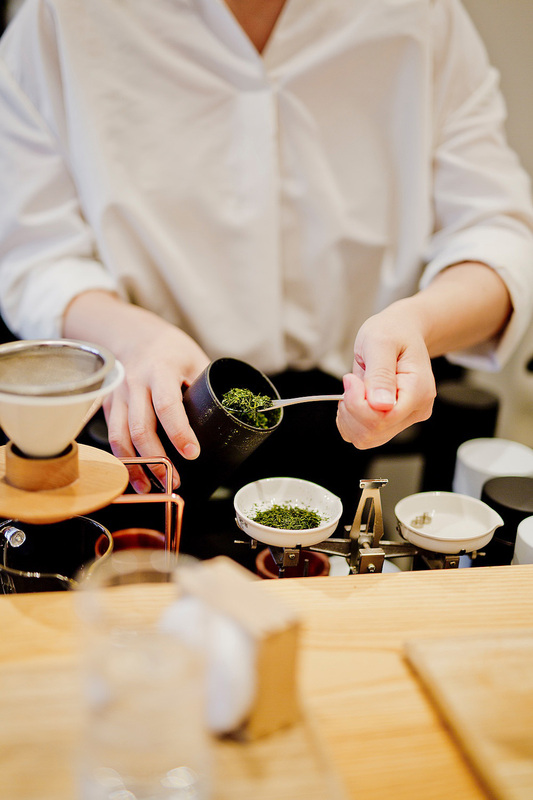 The staff was super friendly and spoke very good English to explain all the kinds of teas. 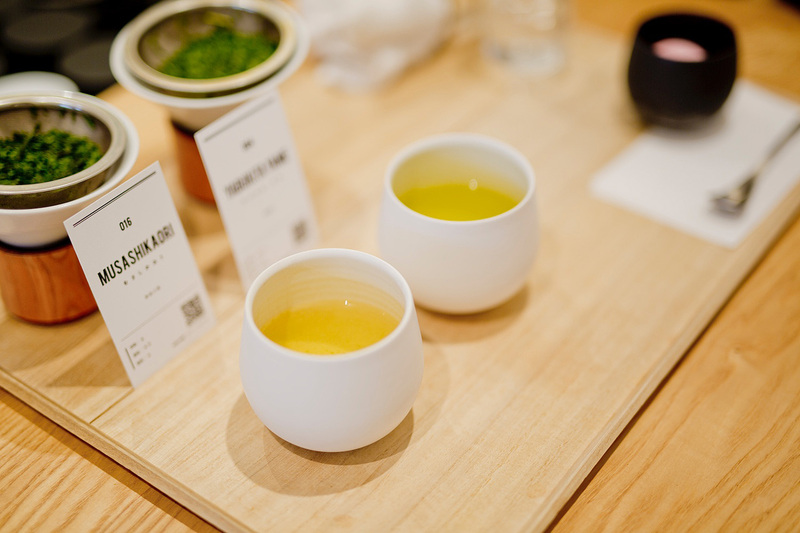 We chose the tea experience with 2 type of green tea and 2 refreshments. 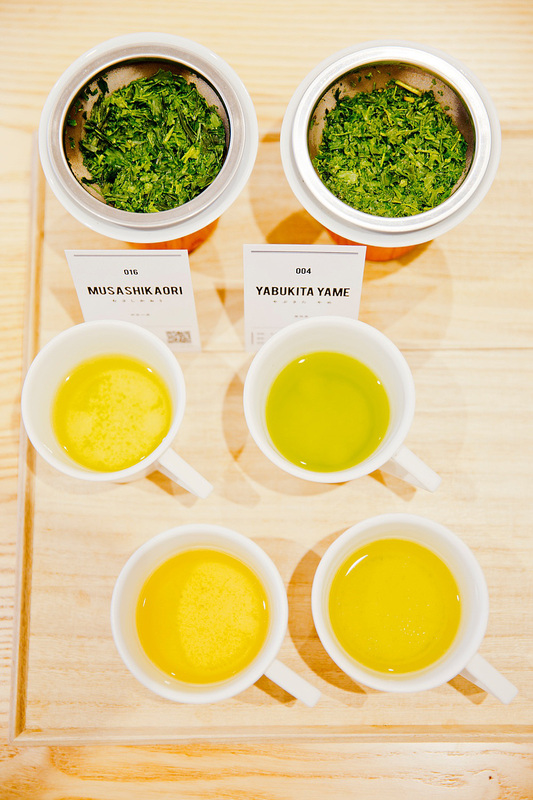 Therefore, we tasted four types of Sencha green tea in total. 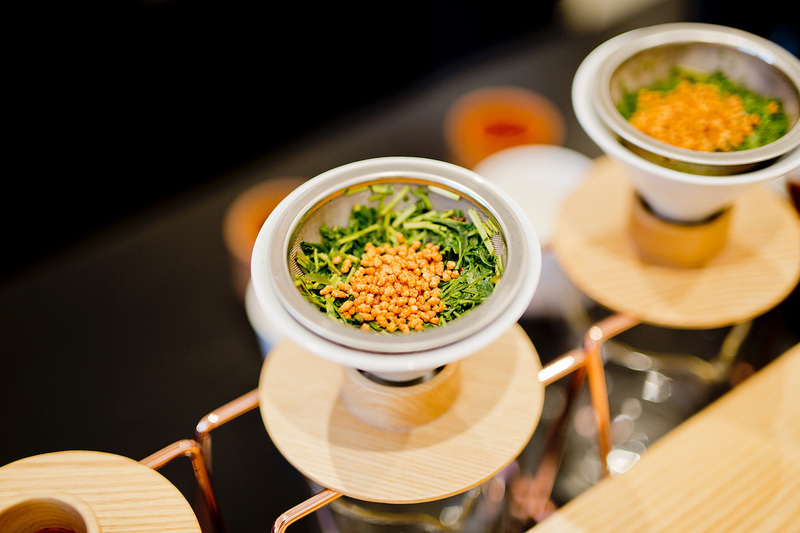 In the first round you’ll get to taste the two types of Sencha, whereof you can get your favorite one refilled. 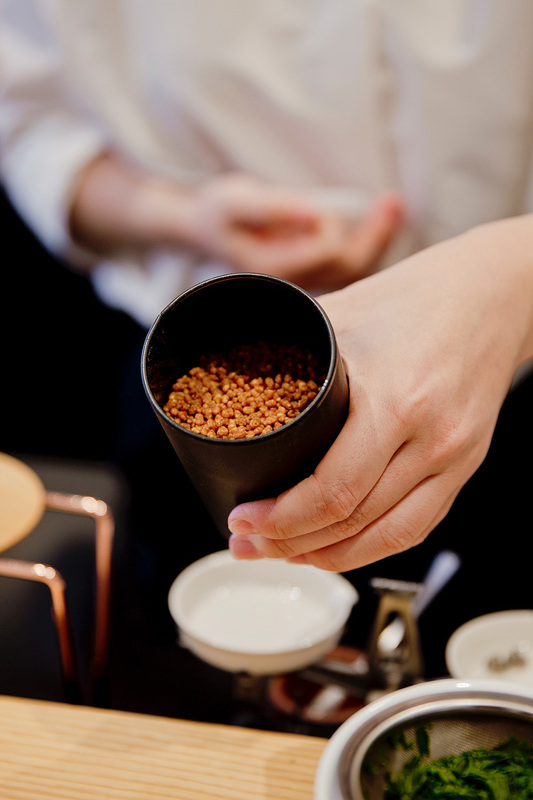 In the second tasting round they’ll add toasted aromas and brew it once more. You rarely find any toasted green teas in Europe and the taste of it is very special. 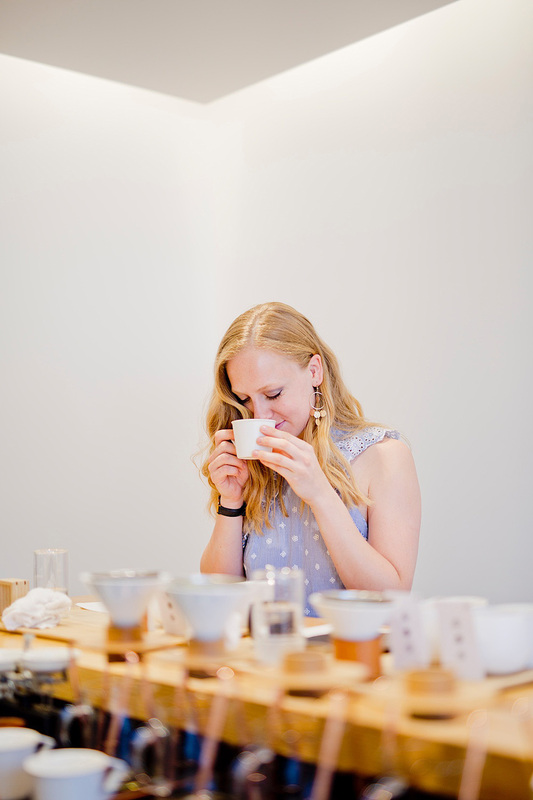 I liked it but I’d rather prefer a “normal” Sencha tea.